Hi my name is Ina Oprea and I’m a new volunteer. I’ve decided to create a poster for an event I think would be interesting for young women. 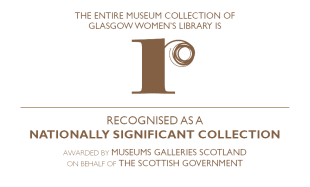 I joined Glasgow Women’s Library because I would like to encourage other young girls to join and learn more about women’s history and try out events that celebrate women’s achievements. As a volunteer I will be picking out different events and creating some posters for them. 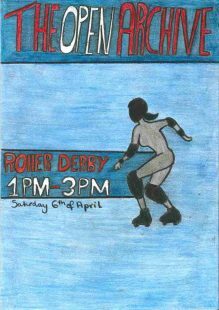 I decided to create a poster for The Open Archive, Roller Derby event because I thought this is a great sport that young women could try. To find out more about this event, follow this link. This entry was posted in Blog and tagged with national museum of roller derby, open archive, roller derby, young women.